ADA, Okla., September 13, 2018 – This August, Ram Jack Oklahoma and Arkansas wanted to put some attention back on the students and teachers of one of their alma mater schools. 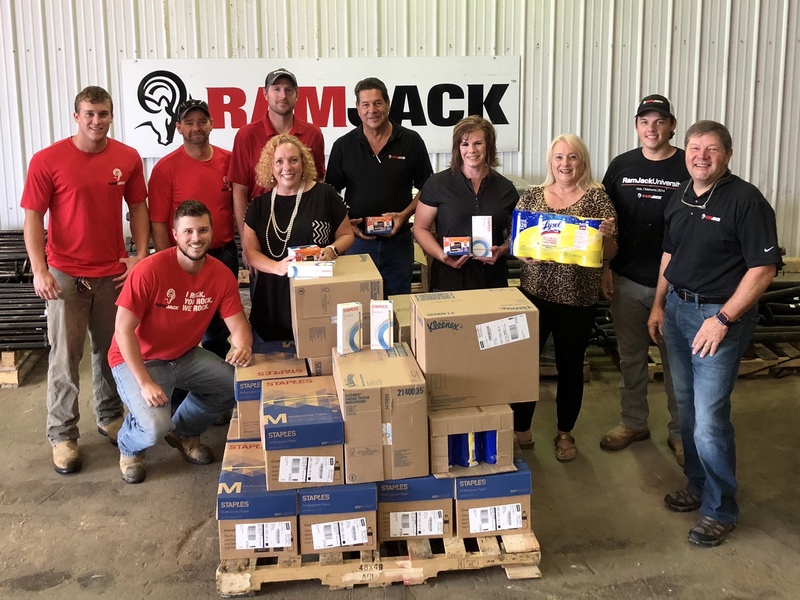 Being one of sixteen Ram Jack locations who donated thousands of dollars’ worth of necessary items and supplies during their first national community outreach project, they couldn’t be more excited to have been able to participate. Items included essential school supplies, copy paper, sanitizing wipes, and cases of tissue. Tina Gregory, the owner of Ram Jack Oklahoma and Arkansas, donated these much-needed school supplies to Allen Public Schools. Darren Gregory, husband of Tina, is a proud alumnus of Allen Public Schools with a grandmother and two aunts who taught and retired from this school system. It’s apparent that Allen Public Schools remain close to their hearts to this day. “It is always an honor to be able to help the communities from which we come. We couldn't be happier to help support Darren's alma mater and show our appreciation for the teachers and parents in our community,” states Tina Gregory about their contribution. It is always an honor to be able to help the communities from which we come. We couldn't be happier to help support Darren's alma mater and show our appreciation for the teachers and parents in our community. Ram Jack provides quality foundation solutions, from residential to commercial, new construction to remedial repairs. Ram Jack's in-house engineers and research and development divisions continually strive to advance industry knowledge in foundation solution applications of steel piles. For more than 40 years, Ram Jack has restored stability to many homes and equipped engineers with custom solutions. As foundation repair contractors, Ram Jack makes sure that your building has proper foundation support. From helical pile to driven pile systems, Ram Jack ensures they are equipped to get the job done!